So, I think that the conclusion is clear: if you run a business, you need to treat your data seriously. You need to set up a system which allows you to back up and restore your data whenever you need it, without making your customers wonder why your website and/or services have been down for several days in a row now. The first step is to decide on the preferred backup method. You could back up the data at a file level, which means creating backup copies of the desired files and folders on your computers. Or, you could create images of your computers and back those system images instead. We always recommend backing up the data at a file level AND backing up the system images for the computers that are essential for your business (think web servers, file servers, etc). Where will your data be stored? Will you go for local storage, or choose one of the many cloud-based providers? No matter what option you choose, ensure that the company data is backed up to an off-site location as well. Cloud-based backup services may be convenient, but they are still vulnerable to hacker attacks. So, it is best to store the data locally as well. Critical company information can also be saved to a USB drive, for example. These days you can purchase 1TB USB drives, which provide more than enough space to back up your business' entire customer database, for example. You should also consider archiving some of the unused or less used company data. Maybe you have completed a project for a client 10 years ago, and you have decided to keep all the project files. Since you won't need them for your company's daily operations, you can simply save those files to a "Clients" hard drive and be done with them for good. This way, you will be able to significantly reduce the amount of data that needs to be saved online and offline, and thus cuts down the costs. Once that you have chosen a data backup application and/or service, it's time to schedule regular backups. Most people choose to have their data backed up at night, when nobody is working. There is a simple explanation for this: modern backup software may be optimized, but it will still use precious computer resources. No matter what type of backup solution you choose, it is important to start protecting your data today. 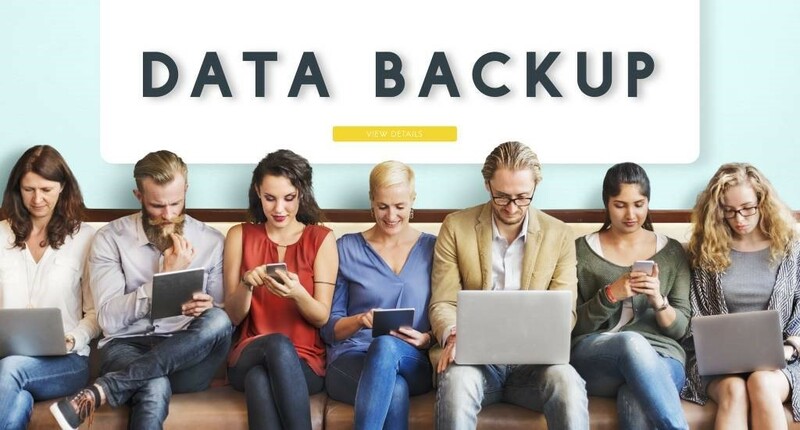 By setting up a system that creates backup copies of your critical business data and archives the files that aren't essential for your company, you will save a lot of time, money and trouble in the future.